Zong-qi Cai, a professor of East Asian languages and cultures, has created a unique scholarly journal in partnership with Peking University and Duke University Press. CHAMPAIGN, Ill. - Zong-qi Cai, a professor of East Asian languages and cultures at the University of Illinois, has created a unique scholarly journal in partnership with Peking University in Beijing and Duke University Press. Titled the Journal of Chinese Literature and Culture, this biannual publication will be funded by Peking University during its first five years. It's the only journal wholly dedicated to the study of pre-modern Chinese culture, and the first instance of a Chinese university becoming directly involved with English-language scholarship outside of China, Cai said. He sees the journal as a way both to reinforce the U. of I. 's already strong bond with China in humanities and give the Western world access to 3,000 years of Chinese literature, still relevant today. "In modern Chinese culture, all the idioms and all the beauty of the language are entwined with pre-modern tradition more than in any other culture in the world," he said. "You really cannot understand Chinese culture without knowing its past." The pre-modern era encompasses everything from "time immemorial to the downfall of dynastic China" in 1911, Cai said. In China, this immense quantity of literature is studied and analyzed just as thoroughly as English and American literature are studied in the United States, but only a fraction of the Chinese research has been presented in English-language journals. Cai said he is creating this journal to meet that need. "Think about how big our English department is," he said. "The study of Chinese literature in China is the equivalent of the study of English literature in America. It does not make sense for us not to introduce the finest scholarship of hundreds and thousands of Chinese scholars." When he first thought of creating the journal, the notion of collecting all the necessary resources seemed daunting. "This started when I got a crazy idea," Cai said. But finding partners and funding turned out to be easier than he imagined. In December 2011, he traveled to China and presented his proposal to two top schools, both of which were eager to co-sponsor the journal. He chose Peking University ("the Harvard of China," Cai said), and is now finishing details such as the appearance of the journal logo with Duke University Press. He has even found a way to manage the most formidable challenge - translating scholarly papers into English - by having young scholars receiving one- to three-month residencies at Peking University translate and revise the papers for co-authorship credit. "That will really help young people along in their careers," he said. As co-founder and co-editor-in-chief, Cai said the journal will present a balanced blend of research across all literary genres, with about half the articles originating from scholars in East Asia and half from scholars in the Western world. In addition to research articles written by and for academic professionals, Cai plans to include feature essays geared toward a broader audience - perhaps upper-level undergraduate students - interested in Chinese literature and culture. To further encourage research, the journal will host symposiums organized around specific themes to solicit papers for designated "special issues," and Duke University Press will publish the special issues in book form. "In this way, we can introduce the topic of research we deem most important to the advancement of the field," Cai said. 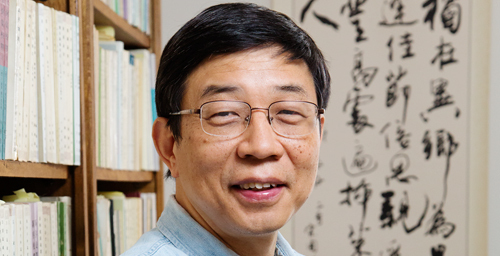 Cai has been a professor at Illinois since 1993. He is the author, a co-author or editor of seven books, most recently "How to Read Chinese Poetry: A Guided Anthology" and its accompanying workbook, both published by Columbia University Press. He earned his doctorate in Chinese literature at Princeton University in 1991. The inaugural issue of the Journal of Chinese Literature and Culture will be published in spring 2014. "There's one mission - to establish a venue for really in-depth international collaboration," he said. "I really wanted to introduce the finest scholarship into this country. My idea is what they call the scholarship all over the world is one family. One world, one family - that's the concept."